This item pulls double duty. 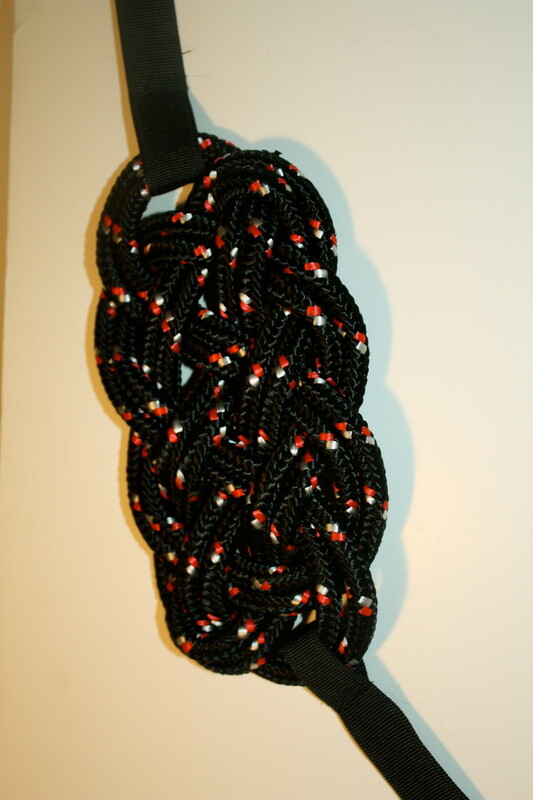 The easy ribbon ties allow you to wear it as a necklace or a belt. Knot measures 8 1/2" W x 4" H inches. To be worn at the waist. 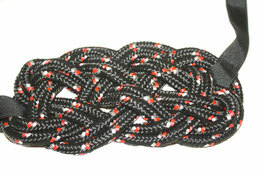 Black knot with white and red specs. Great statement piece, adds zest to any outfit- a funky urban piece.